An opportunity to work on fun photographic projects and learn new skills with Oriel Colwyn's curator and photographer, Paul Sampson. 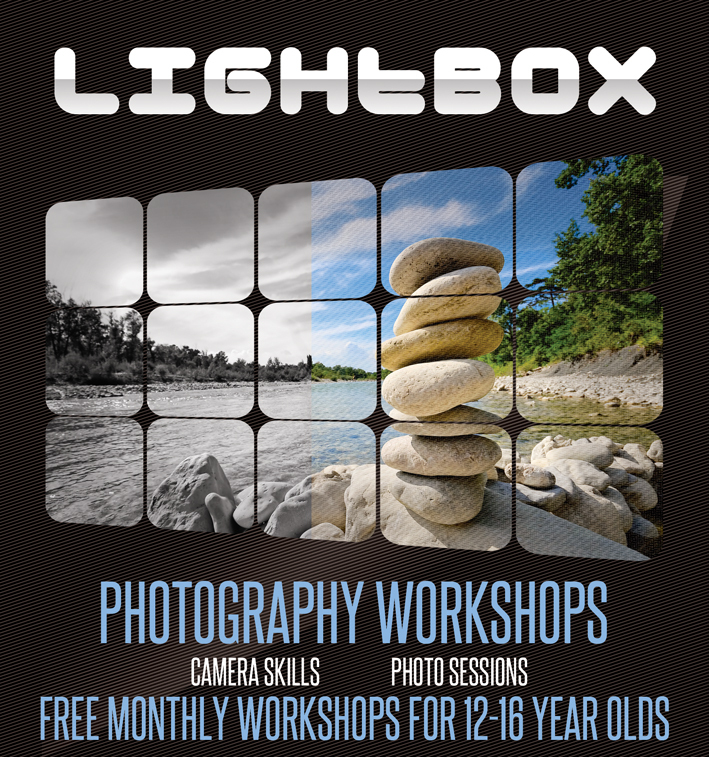 Each Lightbox session runs for two hours and is limited to a maximum of 10 participants. Sessions will generally run on the 1st Saturday of each month between 1pm and 3pm meeting at Theatr Colwyn/Oriel Colwyn. Please get in touch below to register your interest. Options for extra additional sessions and a second group of young people will be added as the group grows in numbers. Over 16? would you also like your own Lightbox sessions? we would also like to hear from you too, please let us know if you would be interested in an evening workshop. Running on a very small budget, donations of both photographic equipment or funds are always welcomed to help progress these workshop's scope.